The other day I was out walking. It was double-digits-temperature, blue-sky, puffy-cloud sort of weather. A slight breeze picked up and… there it was… a whiff of spring. Here’s how spring plays out for me. Next comes tulips, pushing up out of the ground, but maybe not quite blooming. It takes a lot of work to push from the warm soil and poke your head out and there’s still some growing to do for them. 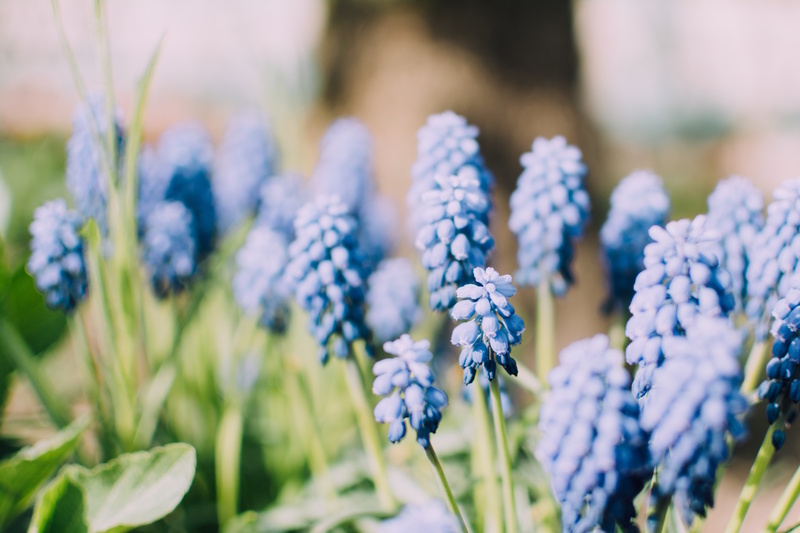 Then, muscari with their fun bubbly blooms pop up seemingly overnight, and their bigger brother, the hyacinth, with their heavy heads, strong stalks and heavy scent start making their appearance. At last, daffs. The proud, showy, queen of spring, with her long elegant stems and frilly, cheerful blooms, leaning this way and that to get the best sun. My katsura is laden with buds, and the crocosmia and rhodos are poised to jump in, too. Meanwhile, the birds have gone bonkers – juncos and black capped chickadees and sooty fox sparrows are jockeying for space at the feeder, and I’ve made three trips to the store in as many weeks to get more bird seed for our hungry little friends. Chubby robins and Steller’s jays cheep and call and sit and stare at me from the branches of the katsura, the northern flickers are pecking away at the utility poles with their flashy underwings and backs as they zip to and fro. And then, I walk out my front door one morning and the unmistakable smell of our local skunk family – phew! – hits me in the face like a bucket of water. The dismal, grey feeling that’s chased me around all February is lifting. I pull out my sandals and enjoy the feeling of air on my sockless feet. I wake up and it’s not black out. I make dinner and it’s not black out. I sit on my stoop and I close my eyes and listen and separate out the sound of the trucks and the cars and the neighbour’s love of his power saw and the faint sound of the Skytrain humming, and there it is, I can hear it – all chips and chees and ticks and dees. This month, the theme is renewal. Renewal in our great city, renewal of people, and yes, even the renewal of Tenth. This bi-monthly, half letter sized, free magazine is focused on arts and culture, community building, and a changing collection of other topics that reflects the diverse community we live in – housing, history, sports, economy, vignettes, to name a few – and what we think is the amazing renewal of New Westminster. Issue Zero comes out on April 1 (totally not kidding), and to celebrate, we are hosting a launch event on the same day at the Sixth Street Popup + Gallery. You must register in order to secure your spot (dang special occasion licenses) and registrations are limited. Issue One comes out two months later, and will be available at selected places around the city. If your business is interested in being a distributor, get in touch with me – we’re still looking for a few strategic spots here and there in the city. 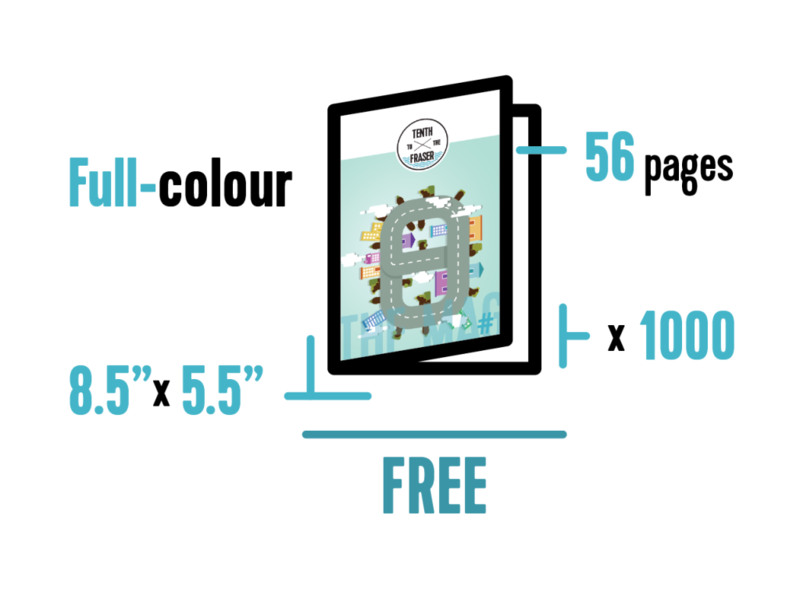 The magazine is free because of ad support. If you’re interested in advertising in Tenth, please reach out to Erin, our director of sales and marketing. So, that’s how we’re renewing. Cool stuff, no? I’m thrilled and excited that the Tenth Team (who I’ll be introducing you to this month) can bring you a high quality print magazine that reflects this wonderful community. Print isn’t dead. Now back to your regularly-scheduled spring. PS: As always, I’m looking for contributors to write or share their art on the theme of the month, in this case, renewal. Even if you aren’t totally sure what you’d want to write about, if this topic piques your interest and you can commit to making a deadline sometime this month, I’d love to hear from you and we can collaborate to figure out when and what to write.